Raise your hand if you have a love/hate relationship with carbs! I love how they taste, but I hate what they do to my body. Carbs are in a lot of the foods that we love. They are important to our health because they provide energy for our bodies. The simple carbs, like white flour and breads, turn into sugar very quickly and can cause spikes in blood sugar. You feel the energy, then you feel the crash. Now, I don’t eliminate them from my diet, but I am always looking for healthier substitutes. If I want a big cheeseburger and fries, I’ll have it, but not everyday. 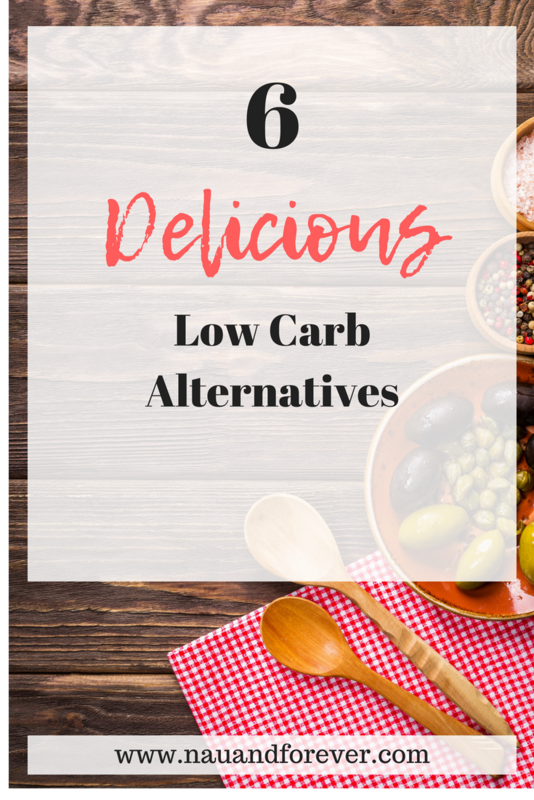 If you follow a low-carb diet or just want to know some healthy alternatives, check out this list of my six favorite low-carb substitutes! Get access to my list of healthy tips in my free printables library! The list goes on. You can buy cauliflower rice to use in recipes or make it yourself. I always have frozen steamable bags of cauliflower rice in the freezer. 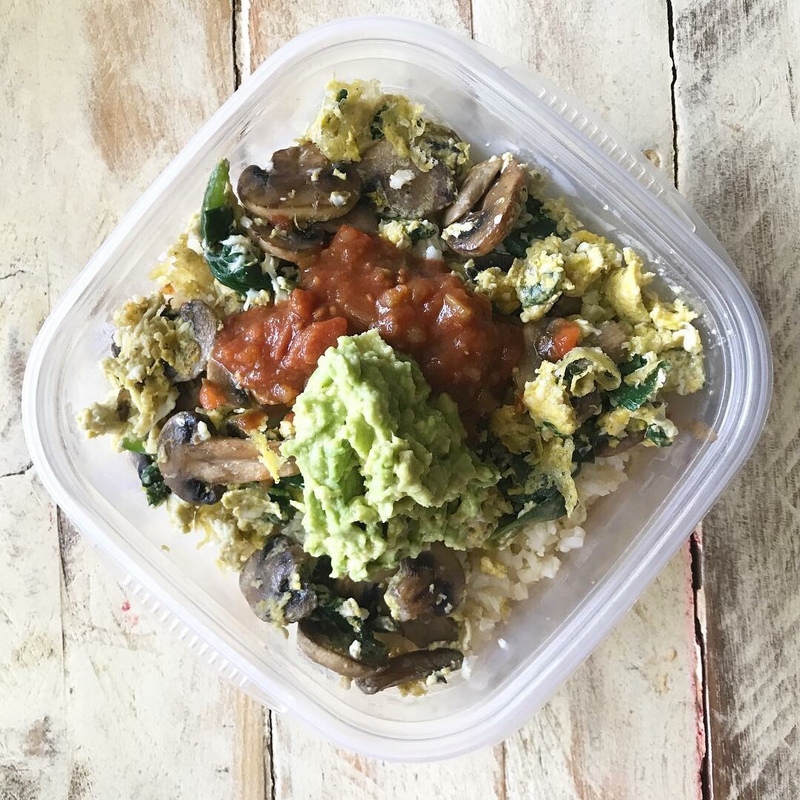 My favorite recipe with cauliflower rice is crazy simple! Spaghetti squash is a great alternative to carb filled pasta. You can cook the spaghetti squash and then scrape out the insides and voila, you have pasta. I used to use the oven until I got a pressure cooker. There are many recipes that you can make using zucchini instead of bread or potatoes. Zucchini fries, zoodles, fritters, and chips are just a few of the low carb options. I love mushrooms! They are so hearty and a great addition to most meals. You can get the big mushroom caps and use them as bread replacements for burgers. Eggplants make another great bread alternative as well as pasta replacement in lasagna. Oatmeal makes one of the best low carb alternatives. Whole grain oatmeal contains fiber and protein to keep you hungry longer. Oatmeal doesn’t just have to be cooked on the stove. You can use it in smoothies, pancakes, and granola. If you want a big bowl of carbs, consider oatmeal. I love sharing healthy and motivating tips for women! If you want to stay up to date and get some exclusive content, be sure to sign up for the newsletter. I have some super exciting things in the pipeline and I will share with my subscribers first!